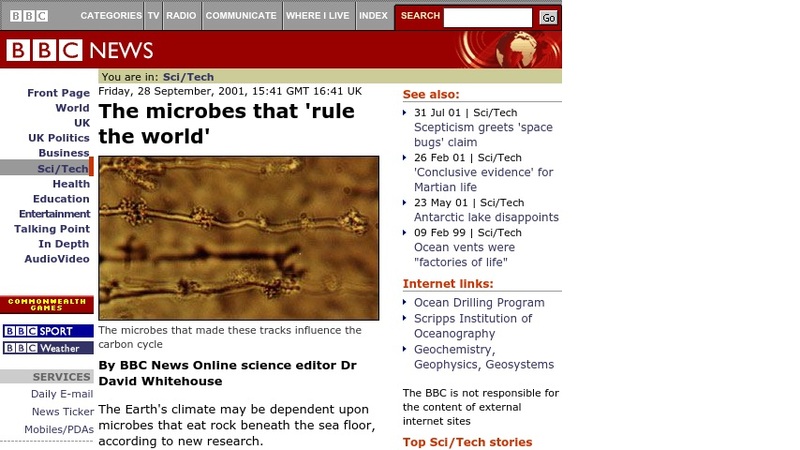 This BBC News article provides general information on microorganisms that have been found 4 miles beneath the sea floor. These organisms are thought to influence climate and global chemical cycles such as the carbon cycle. The article features photographs of the "worm tracks" thought to be made by these deep rock microorganisms.